“We draw water at 3.5 km from the edge of Lake Tanganyika and at 25 meters deep. We are very much concerned by the fact that after analyzing the extracted raw water, we find that it is polluted, “said Desiré Nsengiyumva, Director of Water at the Burundian company in charge of supplying water and electricity (REGIDESO), on 22 March 2018. The distance from where REGIDESO draws water has increased from 800 m to 3500 m due to pollution. Nsengiyumva says REGIDESO spends a lot of time and money treating the water extracted from Lake Tanganyika before distributing it to people. He also says the turbidity of the surface of Tanganyika water is usually between 1 NTU and 2 NTU explaining that it has increased to more than 25 NTU. Lake Tanganyika is the main source of water in Bujumbura. More than 80% of the water used by Bujumbura people comes from Lake Tanganyika. He warns that, if nothing is done in the coming years, the water extracted from Lake Tanganyika will no longer be drinkable or the cost of treatment by REGIDESO will be prohibitive. Nsengiyumva says REGIDESO also draws water from Ntahangwa River adding that due to erosion during the rainy season, the company stops using it because the water becomes muddy. Nsengiyumva says uncontrolled construction activities especially without respecting 150 m and 50 m respectively from lakes and river shores as provided for in the water code, the pollution of the water resources by throwing domestic and industrial waste in the lakes and rivers and the erosion are the main causes of pollution. 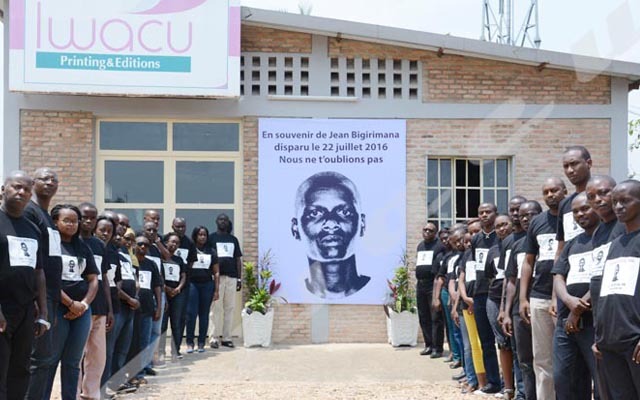 Environmental activists denounce that the only sewage treatment plant of waste from all households and factories in the capital Bujumbura has not been functioning for some time. 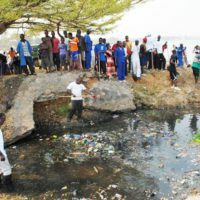 Wastes which flow directly into Lake Tanganyika without being treated constitute a danger to the Lake, say environmental activists. Water pumps that channeled wastewater from the neighborhoods of Mukaza to the Buterere wastewater treatment plant had broken down. Emmanuel Ndorimana, Director General of Water Resources and Sanitation in the Ministry of Environment, reassures that new pumps will be installed within a month to allow the proper operation of the Buterere wastewater treatment plant. SETEMU, main source of pollution of Lake Tanganyika?